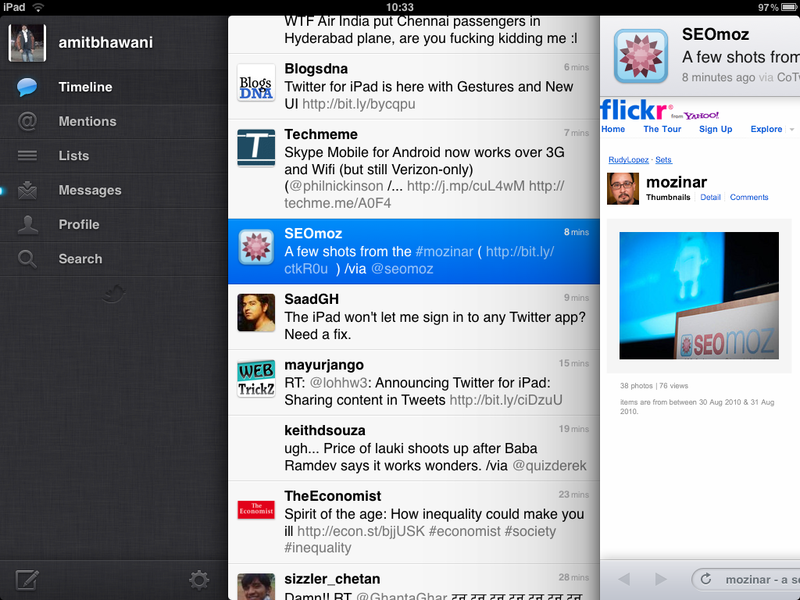 Twitter has their official apps spread in most of the gadgets already, i.e. the iPhone, Blackberry, Android phones but the one which was lacking it and was the most needed – the iPad. 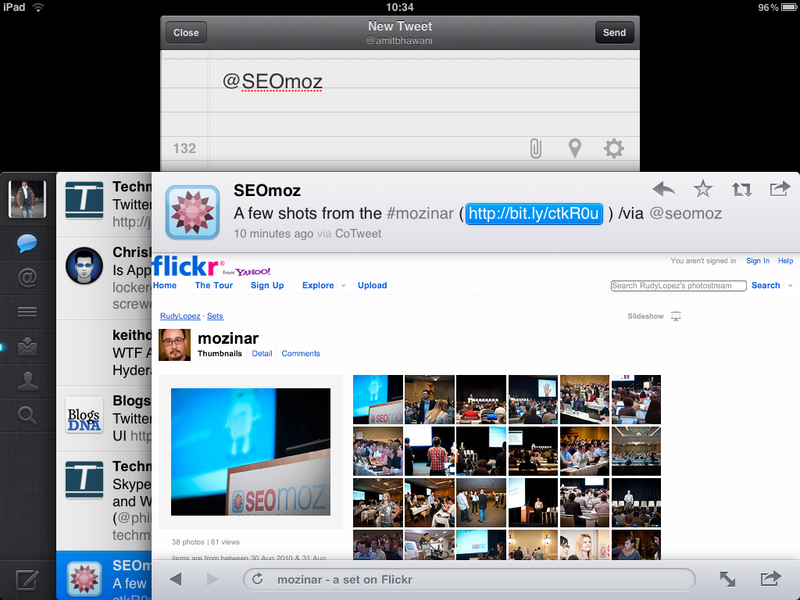 So twitter finally launched the official app for the iPad which is nothing less than being called ubercool. 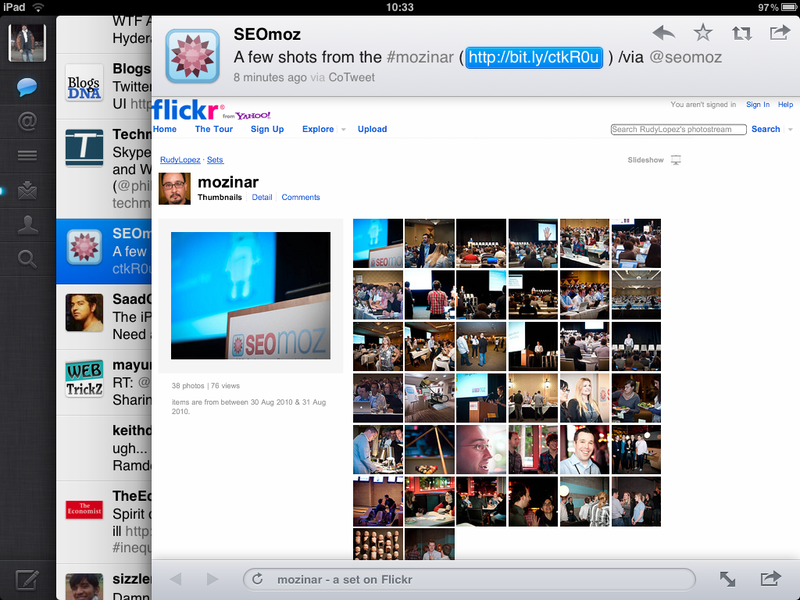 Read and share the content through twitter, through the same application. Thanks to the screen size of this Apple iPad and the developers at twitter, we are seeing something real better than the previous ones. The normal apps for twitter usually redirect you to the web applications when you open a link or a picture, but this twitter app is made such that it restricts you to stay in the app itself and lets you open all the web pages, pictures and everything within the app, and gives you the option to share them with your twitter network. The fluid touch interface of iPad is taken advantage of, and everything that is build in the app makes you see your timeline move smoothly. When on the timeline, if you click on the tweet, the content in the tweet or the web page linked in it opens the new pane to the right, and the pane overlaps the timeline for the time being, till you swipe it to the right and reach the timeline as before. So, everything is in front of you on the screen. The twitter app won’t just limit you to the pictures but you can view the videos too, but as it usually takes time, you can take the advantage of the swipe option where you can hide the video page and read the timeline while the video loads. You can pinch on a Tweet to quickly view details about the author and to take actions on a Tweet, such as reply or retweet. Put two fingers together and pull down on a Tweet to peek at the replies, showing the entire conversation leading to that Tweet. 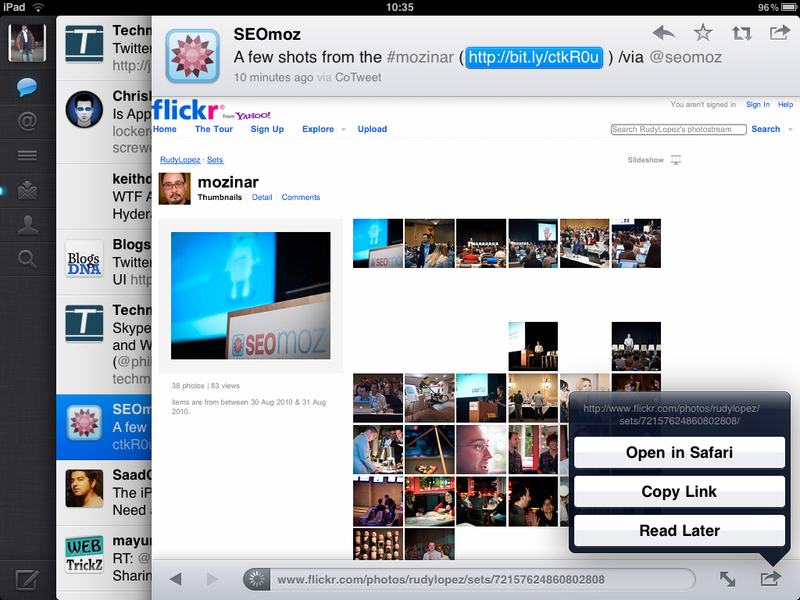 When on the web page that has opened in the app, you can choose to open the page in Safari browser if you want to do something more with it, or copy the link to paste it in your tweets, or can choose to read the page later. 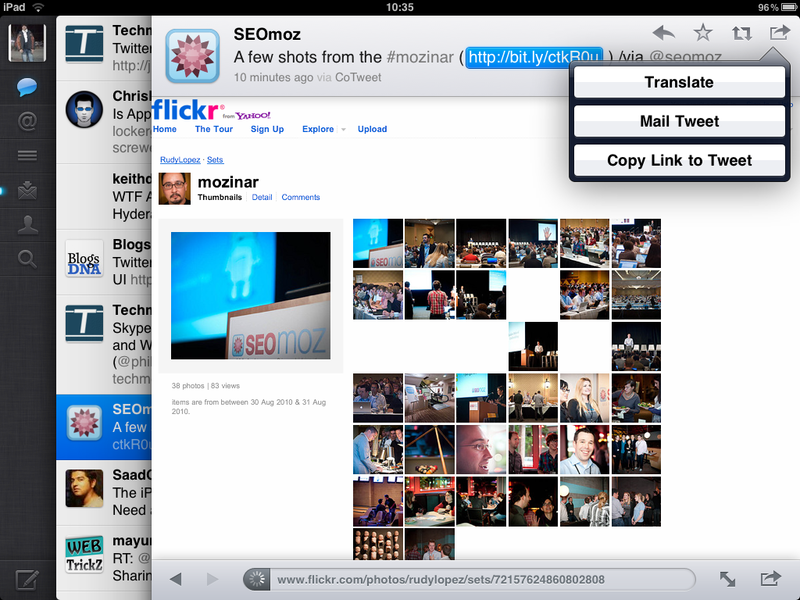 While browsing an exact tweet, you can choose to translate the tweet to any other language, or mail the tweet through your mail box, or copy the link to tweet. Open the tweet and then the author’s picture, it will open the entire profile of that twitter user, that includes everything which you see on the twitter web profile page. 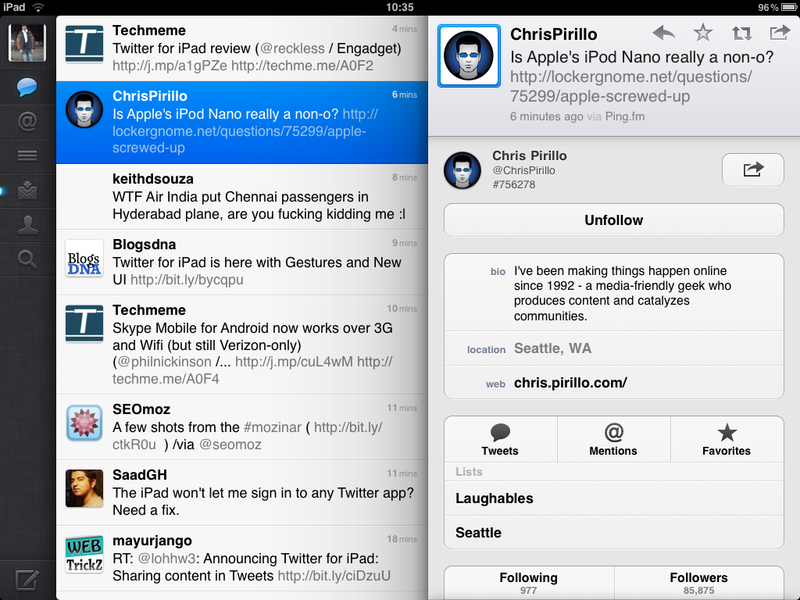 The official twitter app for iPad is available through the app store, or click this link to download it. That’s the iTunes store link that would automatically download the app when you open it from your iPad. Hi, my name is Alex Taylor and I’m from Eltima Software, we are very interested in our possible cooperation. We would like to offer free licenses for testing our software.